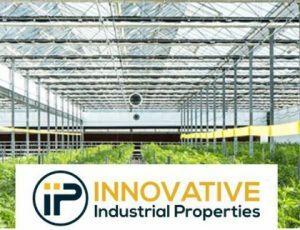 Innovative Industrial Properties, Inc. (IIP), the first and only real estate company on the New York Stock Exchange (NYSE: IIPR) focused on the regulated U.S. cannabis industry, announced today that it closed on the acquisition of a property in Sacramento, California, which comprises approximately 43,000 square feet of industrial space. This acquisition marks IIP’s first investment in California and expands its portfolio to ten U.S. states. This press release contains statements that IIP believes to be “forward-looking statements” within the meaning of the safe harbor provisions of the Private Securities Litigation Reform Act of 1995. All statements other than historical facts, including, without limitation, statements regarding the lease of the California property, the tenant and the California regulated cannabis market, are forward-looking statements. When used in this press release, words such as we “expect,” “intend,” “plan,” “estimate,” “anticipate,” “believe” or “should” or the negative thereof or similar terminology are generally intended to identify forward-looking statements. Such forward-looking statements are subject to risks and uncertainties that could cause actual results to differ materially from those expressed in, or implied by, such statements. Investors should not place undue reliance upon forward-looking statements. IIP disclaims any obligation to update or revise any forward-looking statements, whether as a result of new information, future events or otherwise.